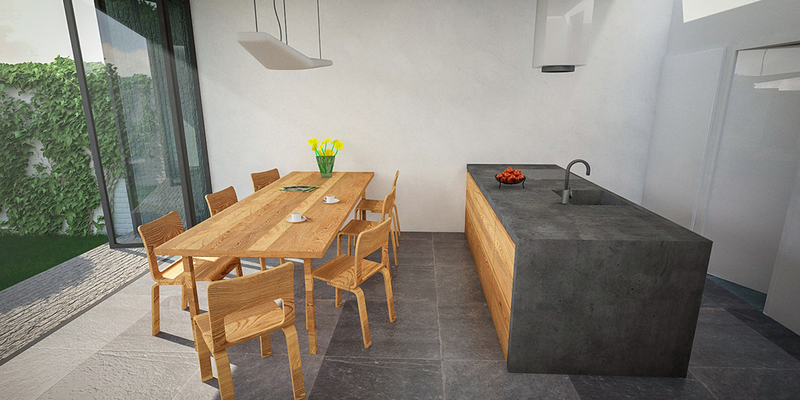 After the first successful design in The Netherlands, MWM Architecture has been asked to design another renovation project, this time in Breda. 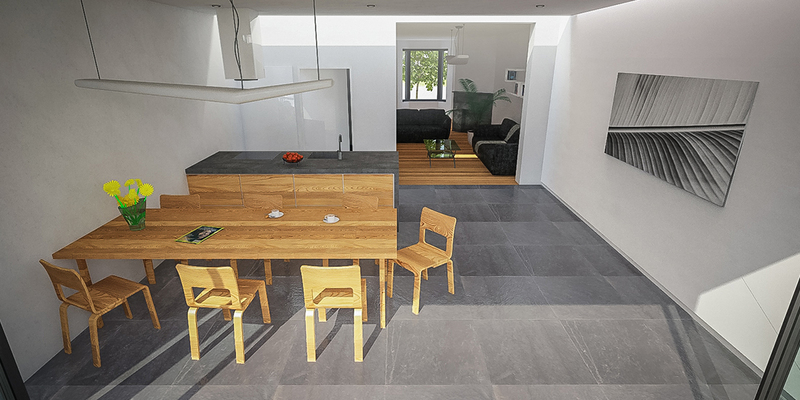 The existing house has limited space for a large kitchen and living area. 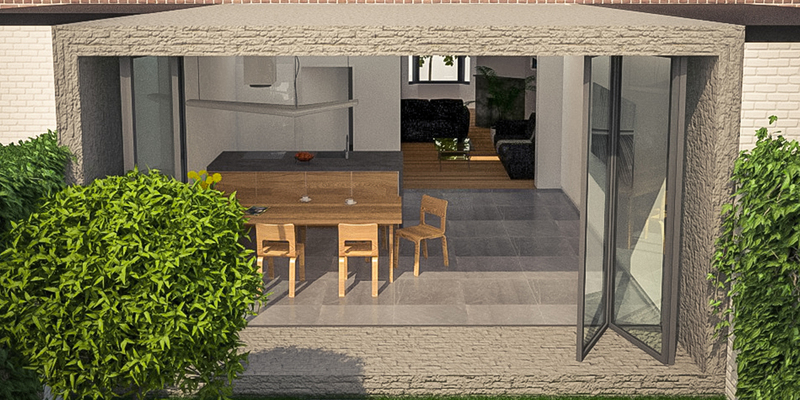 Cooking and social gatherings are an import role for the central living space and how this connects to the much loved garden on the rear side of the house. The house was built in the early thirties and it is important to inhabitants to conserve as much as possible from the original house. 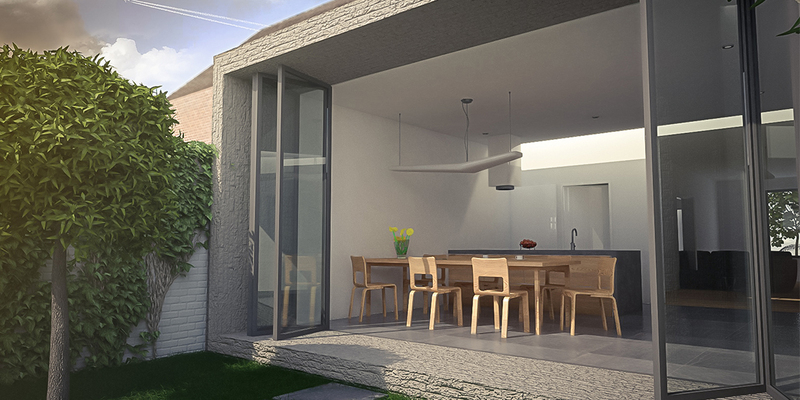 The added volume inserts a complete new architectural style to the site, making a clear distinction between existing architecture and newly introduced architecture. 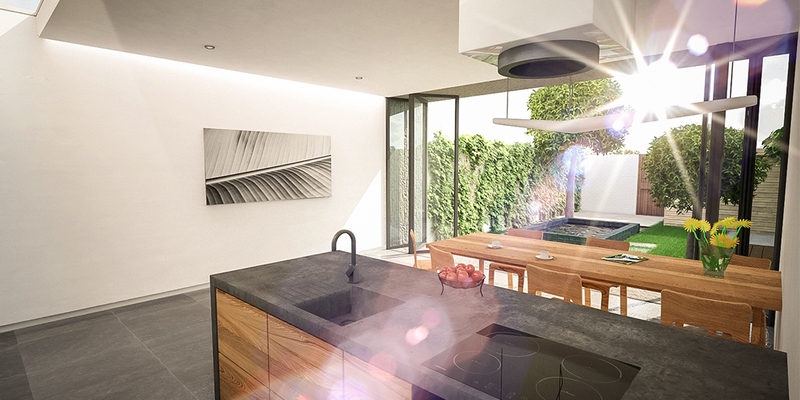 The design focuses on the garden area from within and enables spacious cooking and dining.